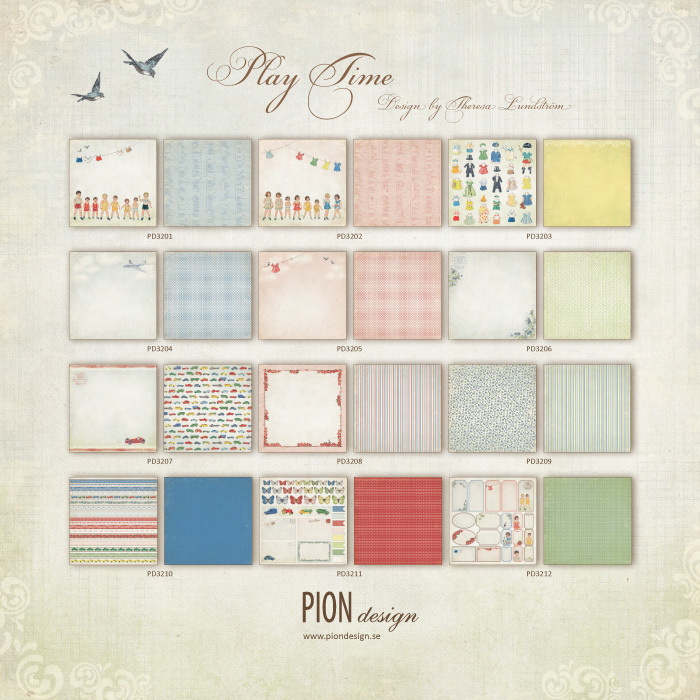 For capturing the sunniest of memories, Pion Design is now releasing the paper collection Play Time. This irresistible collection features 12 patterned papers in a fun-filled design that will bring back childhood memories for all of us. There is nothing sweeter than the sound of laughter and play, and with the sophisticated sweetness of this adorable collection you will all be able to capture some of those magic childhood moments. Cars, airplanes and paper dolls are just a few of the images, and the subtle shades are accented with brighter hints of red, blue, green and yellow. 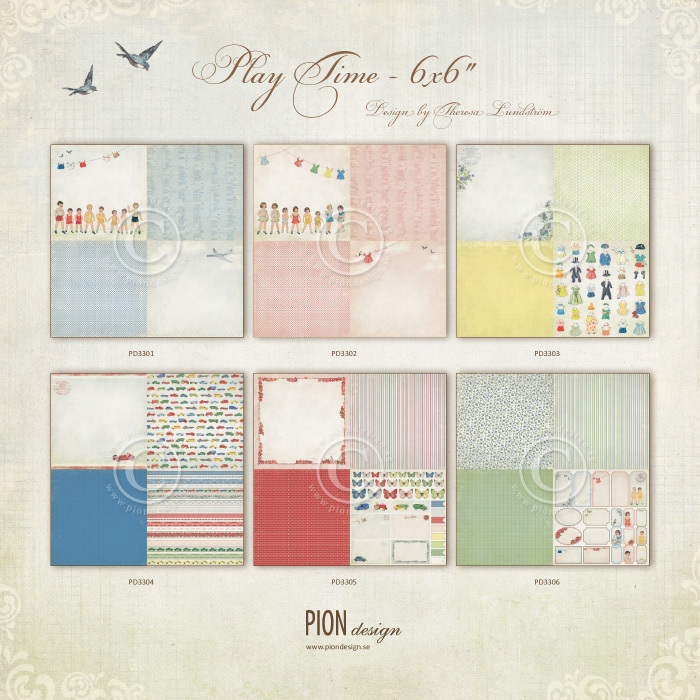 With its playful colors and images, Play Time will surely brighten your day and offer you plenty of crafting occasions. Play Time consists of 12 double sided papers in the size 12×12” as well as 6×6” and is ready for immediate shipping.